Well, here it is - The Chapters reaches a half century of episodes! We return for 2018 with the first edition of the year, and in tribute to the format of old we celebrate this landmark achievement with two halves of the best trance has to offer. Thomas Carter kicks things off with some of the best of now, featuring Airlab7, Abide, I5land, Calderone Inc., an absolutely superb new original from M.I.K.E. Push, Cyril Ryaz, SNDWV, and a beautiful track by 4 Strings to close, then Matt Carter takes over with a powerful second half littered with some of the best of yesterday. Present and correct are DJ JamX & De Leon, Fire & Ice, Ferry Corsten, DJ Tiesto, Armin vs M.I.K.E., Mr Sam vs Fred Baker Present As One and then to take the roof off at 141 bpm we close on the sheer energy of V-Three's Zuluu. Over an hour and half of undiluted trance perfection. We are very proud to have reached this milestone and we hope this edition perfectly captures what The Chapters are all about - sharing the best trance has to offer. 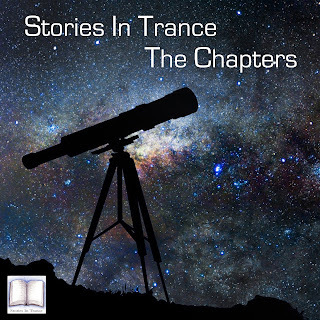 No bias, no ulterior motive, just our Stories In Trance. We hope you enjoy, and thank you, listener, for your support. How it was, as it is, so it goes....this will always be Stories In Trance.